Used high strength magnet, facilitate to attract thick and heavy steel plate. There is a cam on the lever, lay down the lever to apart from object. There is a big contact area. Avoid not to overload, the surface of steel plate need to be level, smooth and hard. 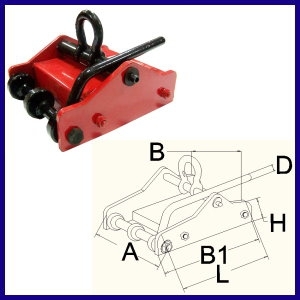 It can not be used on the soft or uneven steel plate.